We've just taken our first step into a much larger world. At least, one that can be viewed through a smartphone. Join us this week as we analyze the surprise announcement of an augmented reality mobile game called Ghostbusters World. We've got the press release on hand to examine all the details and speculate on what some of the games' features may bring. Then, stay tuned for a few brief news items including IDW Comics news, Chris Hemsworth joining up to save the universe again and much more! 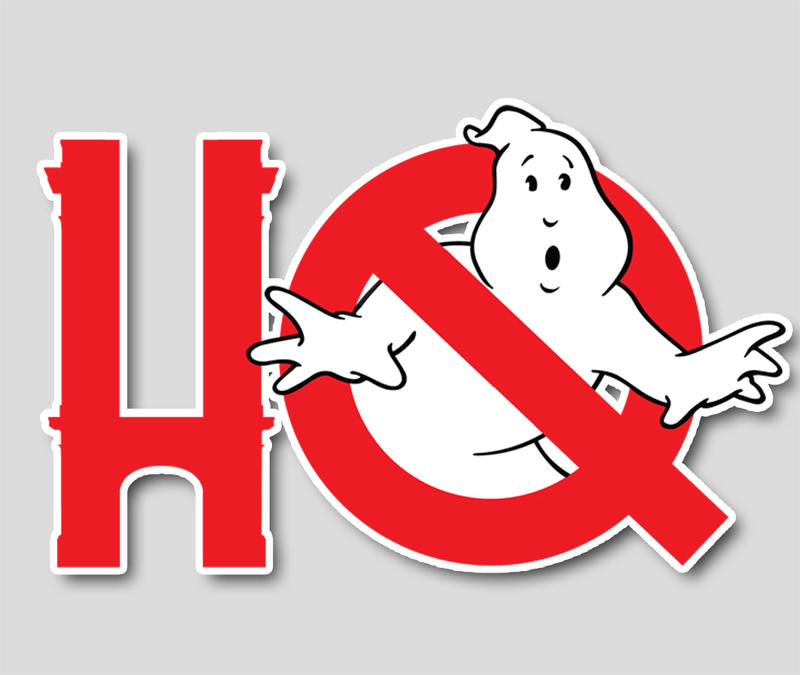 The 32nd Anniversary of the original Ghostbusters is upon us and there's lots to talk about both classic and new. Join Troy and Chris as they chat Fathom Events, the return of Ecto-Cooler and a discussion on how it still tastes (especially when combined with other mixers), Ghostbusters International #5 from IDW Comics, chatting about that second Ghostbusters (2016) international trailer, the four new leads from the 2016 film showed up on Ellen for an entertaining interview, we'll play you some of the highlights including casting, action figures, and Chris Hemsworth, discussion on the Empire Magazine articles and a few gems hidden within them (including the return of Ghostbusters: Hellbent? ), National Tyre's contest to send folks in the UK to New York City, then a rapid-fire merch round-up with Macy's, Diamond Select, Ecto-Mini cheat codes, Cryptozoic, and much more! Bright and early this Wednesday morning, Sony Pictures dropped a surprise trailer on us all and boy Ned Ryerson was it a doozy. So many great new images, the original Ray Parker Jr. theme song kicking in, and there's that whole subtitle "Answer the Call" debate that we have a little inside information direct from the source. But it is a roundtable, this isn't some goofball reaction video on YouTube. We've gotta talk shop about this, in a spiritual sense of course - and we've brought in the best of the best of the best by teaming up with the awesome team at the Yes Have Some Podcast to join us. It's two podcasts for the price of none (yay free) with this special Cylotron that brings Troy and Chris together with Craig Goldberg, Abigail Gardner, and Jacob Walsh to dissect this trailer from start to finish. So what're you waiting for? The apocalypse? Check it! Holy guacamole, there's a lot to talk about this week. How about a special two-hour episode to fit it all in? And how about some quick bullet-points on what's discussed? CinemaCon, Al Roker's Today Show set visit, Activision Console Game, EXCLUSIVE details on that packed Ghost Corps merchandise cabinet (hint: Mattel merch details galore! ), MTV Movie Awards, Adam Ray as the voice of Slimer, books, Ray Parker Jr., Dubai Motiongate Theme Park, Cryptozoic's Ghostbusters II: The Board Game, Yahtzee! Anovos, the Ghostbusters: Ultimate Visual History Special Edition, a scientific study on the Statue of Liberty and the Hudson River and how they relate to Ghostbusters II, the Largo Ghostbusters doing some great charity work, Golden Cadillacs, VOICEMAILS!, -- geez, did we miss anything? Probably! The new trailer is here! The new trailer is here! Join us for the second (and largest yet) Cyclotron roundtable that dives into chatting about the trailer. Troy and Chris are joined by IDW Artist (Dapper) Dan Schoening, Georgia Ghostbusters Craig Goldberg and Abigail Gardner, and Ghostbuster of BC Evilyn13 to examine every nook and cranny of that trailer like an English Muffin, and through the process might reveal a thing or two that you hadn't noticed the first 200 times viewing it. Tone, humor, horror, design, and the master of comic panel easter eggs helps the group notice a thing or two deep within the frames, don't miss this one!